It took a while, but Bank of America announced today that it intends to mail out principal reduction offers to some 200,000 homeowners. The first letters should be arriving in mailboxes this week, with most mailed by the third quarter of this year. The principal reduction program is part of the national foreclosure settlement, which was finalized back in February. It called for at least $10 billion to go toward reducing mortgage balances. The other big banks will need to get on board as well, since that settlement also involved Ally/GMAC, Chase, Citi, and Wells Fargo. This program isn’t for those with a Fannie Mae, Freddie Mac, FHA, or VA loan. So that eliminates quite a few borrowers right there. The loan must be owned and serviced by Bank of America, or serviced by an investor that has given BofA the authority to carry out such modifications. 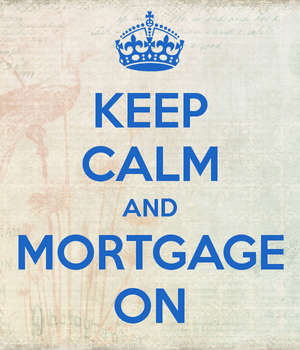 Additionally, you must owe more on your mortgage than the property is currently worth. In other words, you must hold an underwater mortgage. You also have to be delinquent on your mortgage, but don’t go missing payments just to participate. You must have been 60 days behind as of January 31, 2012. Finally, your total housing payment must total more than 25 percent of gross household income (debt-to-income ratio). Assuming you qualify, Bank of America will first reduce your principal balance to “as low as” 100% loan-to-value. After that, they’ll lower the mortgage rate, and possibly forebear additional principal to meet the target payment amount of 25 percent of gross income. A calculation, known as positive net present value, will be used to ensure the cost of the loan modification does not exceed the cost of foreclosure. So some borrowers may get huge principal and interest rate reductions, while others who are just barely underwater, and can afford more, will only see minimal reductions. Still, the ability to refinance to a lower mortgage rate is a huge benefit, even if the principal balance isn’t reduced significantly. Ironically, borrowers will want to prove they’re making less money to get the most benefit, a stark contrast to the stated income days that led up to the mortgage crisis. If you can afford your existing mortgage payment, and simply aren’t making it for one reason or another, Bank of America will tell you to go jump in a lake. Bank of America expects the average homeowner to save 30 percent on monthly mortgage payments. They actually piloted the program in March, and have already sent out 5,000 trial modification offers, which have the potential to total more than $700 million in forgiven principal. Back in 2010, the bank came up with “earned principal forgiveness,” a program that offered interest-free forbearance of principal and rewarded borrowers who stayed current on payments. But it’s unclear how successful that initiative was. And it’s uncertain how well widespread principal reductions will perform given the high cost. Unfortunately, there are probably tons of current borrowers out there with interest-only loans poised to reset that don’t have a solution. And their mortgage payments will surge once they’re making fully amortized payments with a shorter mortgage term. Assuming many of these types of loans were taken out around 2004-2006, there may be another huge wave of problems in a few years that don’t yet seem to be addressed. I am underwater with my Bank of America loans. I have a mtg and a line of credit. I cannot pay the mtg. payments. I am going to let B of A Foreclose, but don’t want to do that if possible. I read that they are reducing the principle amounts on loans. How can I get an application form from them? I just read that we should not wait for them to send out letters, but should get a form. I hope you can help me. Thank you. You might be referring to their recent multi-billion settlement with the Department of Justice.